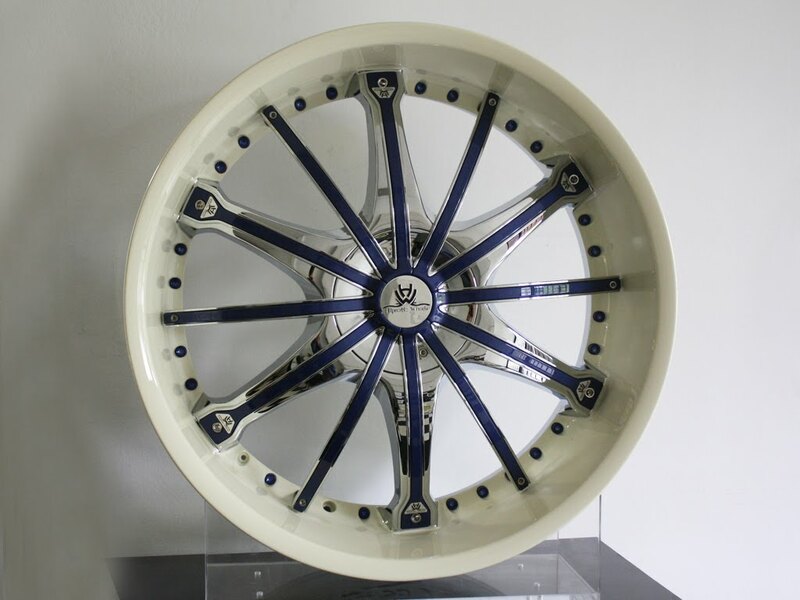 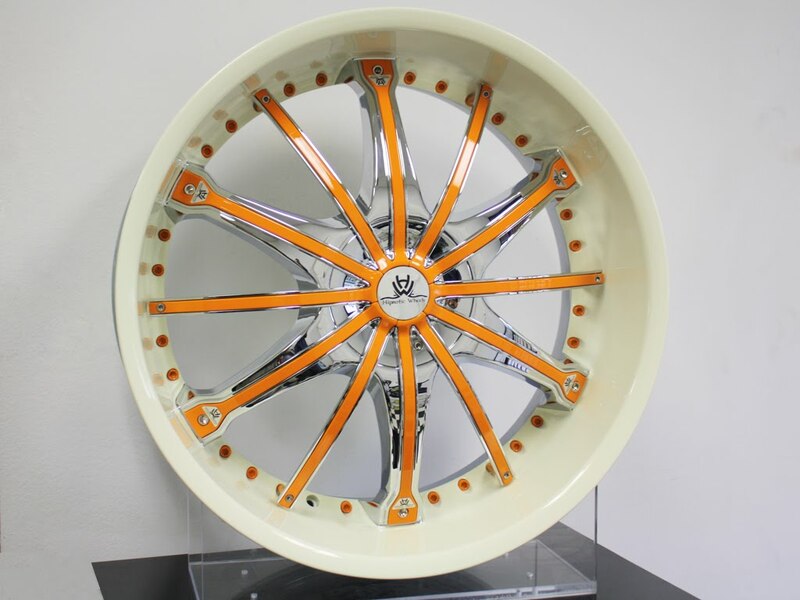 This is a custom set of 24" Hipnotic 360 wheels that will be put on Chrysler 300. 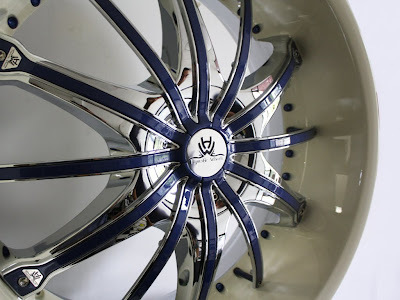 As you can see the lip has been custom done white on all four wheels but not all are the same. 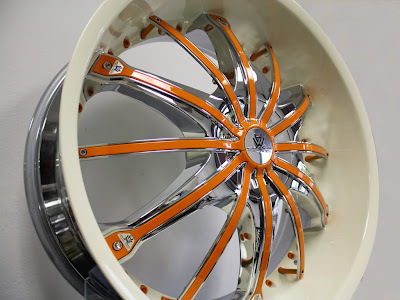 2 wheels have the inserts and rivets in orange and the other 2 have them in blue.